WordPress is becoming the most popular open source Content Management System Web application, far surpassing regulars like Typo3, Joomla, Drupal, Mambo and XOOPS. The interesting thing is that WordPress was created as a blogging tool. In a short tim, it’s been able to evolve into much more. The main reason is obvious when you delve into its administrative interface. Simplicity in the GUI’s form and function is one of its many strengths. 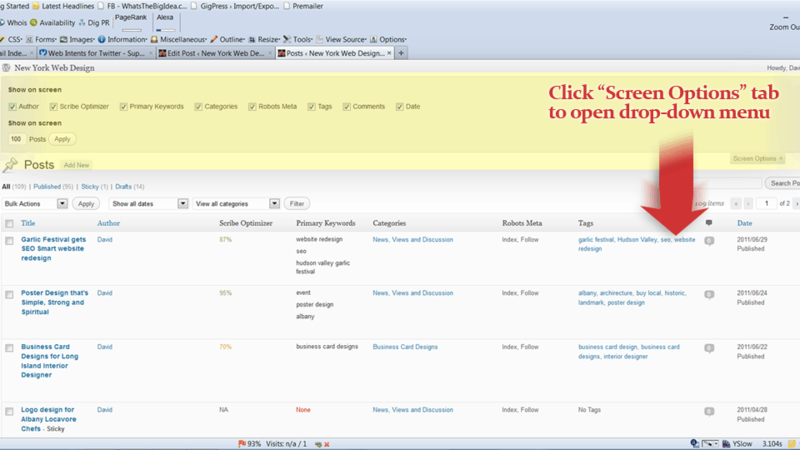 Once logged in, the first thing you’ll notice is the clean and easy to read menus and navigation. Even though at its core WordPress is very complex, blocks of clearly labeled tools are logically grouped based on purpose. 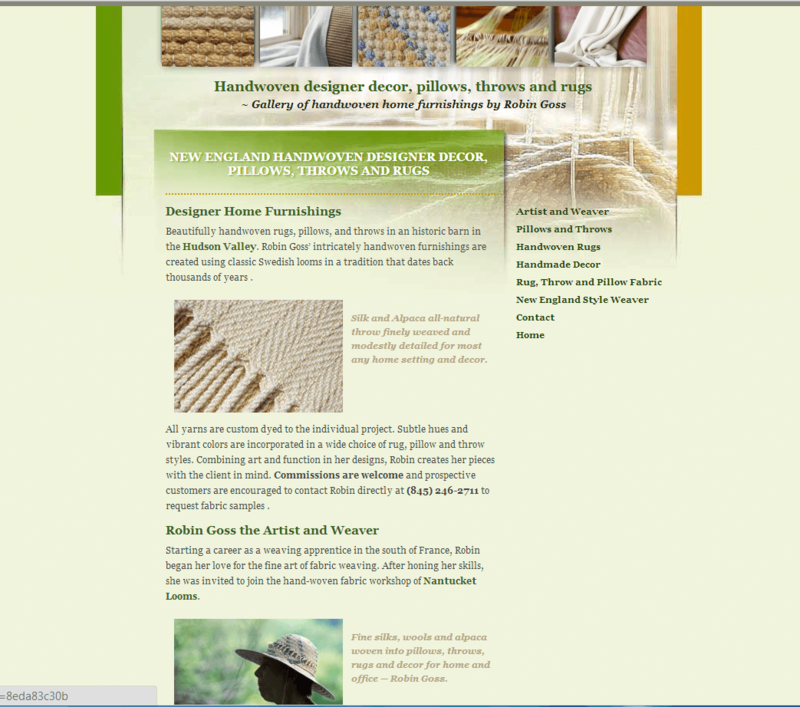 Behind the front-end lies a simple, well-organized layout which appeals to novice and expert. Of course, some folks will find learning a new software program a pain. Regardless of how intuitive the administrative interface in WordPress may seem, familiarizing yourself to the new language (jargon) used takes a little getting used to. However, if you fancy yourself a pro, then all of it will come to you rather quickly. For several of my clients I have simplified the experience even more by hiding parts of the interface. 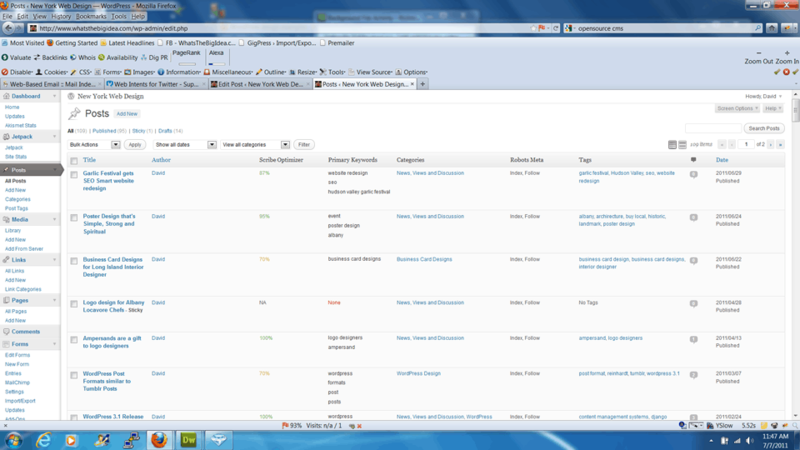 By assigning a them to be a “Contributor”, certain menus which they will never use are no longer visible. Also, each interface section has a “Screen Options” which allows you to hide or reveal menus. Several of my clients have decided that For most, the learning curve is short. And with a devoted following, WordPress is well documented with thousands of themes, plug-ins and programmers available. 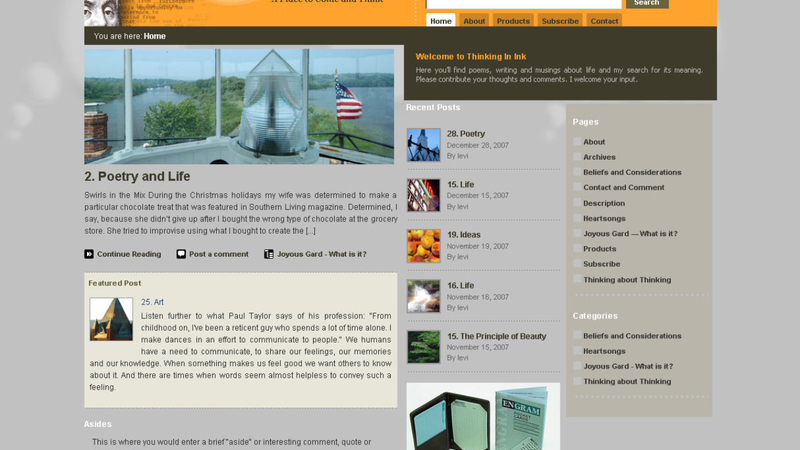 The above is a inspirational writer’s personal blog.Thinkinginink.com has a similar layout to an e-magazine. The WordPress template design and coding is written to have the same functions that a digital newspaper would contain, i.e. : featured articles, highlights, teasers and lots of pictures. 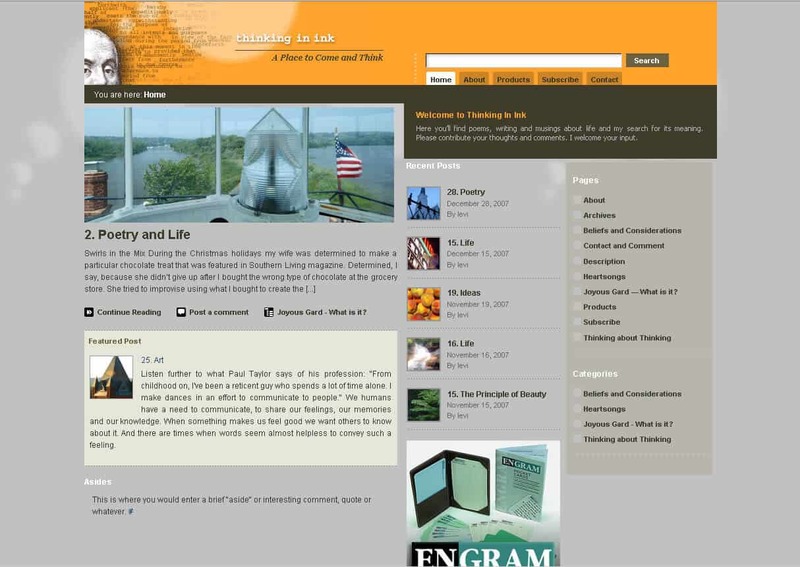 WordPress design and customizations for businesses, blogs and content management systems.